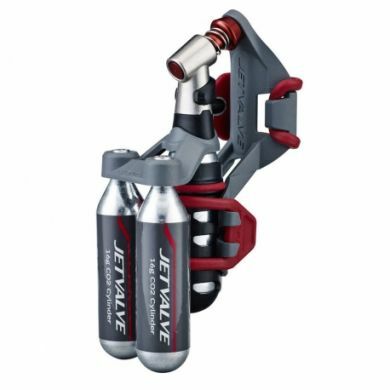 This JetValve Co2 mount allows you to carry 3 Co2 cartridges attached to your bike along with 1 inflator head. This simple to use product comes in handy when you get a sudden flat tyre. It simply straps onto the the seats post with the silicon bands. It's a great product to use in collaboration with other JetValve products. Holds 3 co2 cartridges with one attached to an inflator head (not included). Discreetly hides under your bike seat.